What age kids are in confirmation classes? Students in grades 7 and 8 are primarily in confirmation on Wednesday afternoons (after school). 9th grade classes are held generally on the first or second Sunday of the month at 11:45 am. 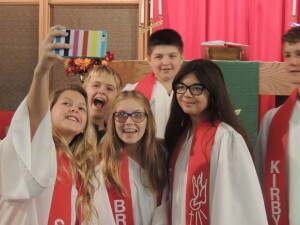 10th grade students are confirmed on Reformation Sunday each year (which is right at the end of October.) Kids need to complete class and all requirements in order to be confirmed. Kids work with the Pastor within a class setting and one-on-one and with their mentor and the youth director. When do they meet? To see a very current schedule the best place to look is a current newsletter. Go to our home page and click into the most recent newsletter and read all the announcements. Generally classes are held September – May, with a break during the Christmas holidays and during Lent. 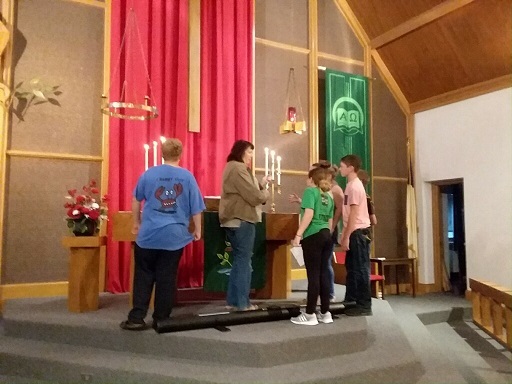 My child was confirmed at a different church at a younger age; what now? If the child was confirmed by 6th grade or younger, we would ask for them to still participate in our classes and be confirmed again within our church. 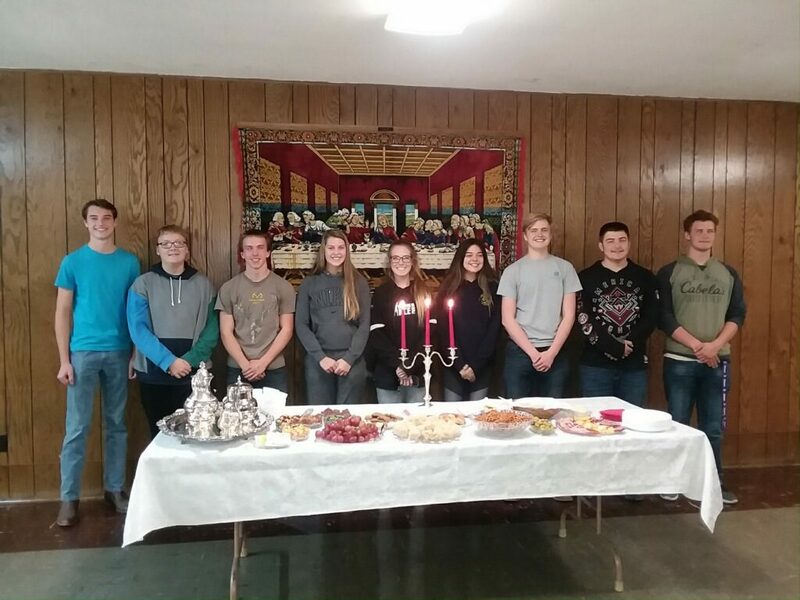 It is nice for them to participate with their peers and learn more about their faith as a teenager. My child is older than 8th grade how can they catch up? Please contact the Pastor to find out what will work best for yourself as a teenager or your teenage child. The pastor will work with you to make arrangements to allow you to participate. I am a teenager that is confirmed and is older than 8th grade how do I engage now in the church? Great!! So excited to have you at this stage of your life. 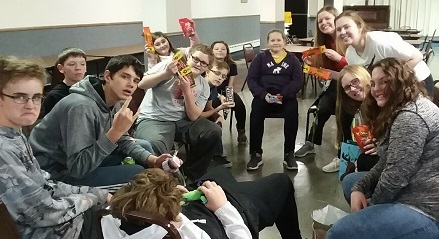 Wednesday night youth group is a nice place for you to connect with other youth of your age. Attend youth group functions, attend choir on Wednesday nights, and start to determine your place within the church. Volunteering for church suppers, reading scripture during church, ushering, and volunteering to help with the maintenance of God’s house is a thoughtful gift back to the church. This is also the time for you to stretch yourself and attend events for youth across our region, synod, and the country. 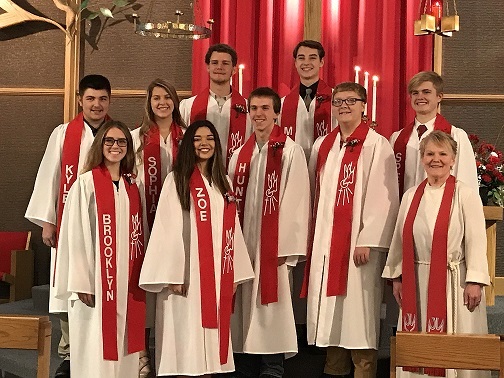 National Youth Gatherings and NW Minnesota Youth Gatherings are fabulous and a place to meet friends that last a lifetime with the same morals and values that were instilled in you through your religious education. See the Youth main page>>> for info on the next youth gathering and a link to check it out.